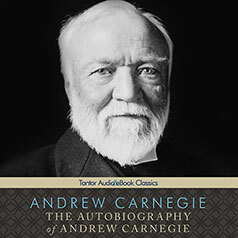 Andrew Carnegie tells his dramatic life story, outlining the principles that he lived by, which today serve as the pillars of modern philanthropy. Andrew Carnegie was an immigrant, a poor boy who worked in a cotton mill, a man who amassed a great fortune as a steel baron and then became one of the most generous and influential philanthropists the world has ever known. His famous dictum, that he who dies rich dies disgraced, has inspired philanthropists and philanthropic enterprises for generations. During his own lifetime, he put his ideas into action by creating a family of organizations that continue to work toward improving the human condition, advancing international peace, strengthening democracy, and creating societal progress that benefits men, women, and children in the United States and around the globe. Here, in his own words, Mr. Carnegie tells the dramatic story of his life and career, outlining the principles that he lived by and that today serve as the pillars of modern philanthropy.